Becoming an audiologist in the U.S. requires obtaining a four-year clinical doctorate degree (Au.D. ), and of course, a state license. Students require a bachelor’s degree (B.A) including a basis in math and science courses. The first-year curriculum in most programs includes acoustics and psycho-acoustics, anatomy and physiology, research methods and statistics. These classes provide a strong basis in understanding the systems that are involved with hearing and perceiving sounds, from the outer ear all the way through the parts of the brain we use to make sense of what we hear- the auditory cortex. In addition, there is an added focus on understanding how research is done and how that research applies to clinical practice, or simply how the audiologist decides what is the best way to approach a given patient or case. In fact, a major component of an Au.D. program is a capstone research project that students complete prior to graduation. Each student picks a topic in audiology to dig further into and perform their own research. The term “evidence-based practice” is an important one. What it means is that the way the audiologist (or any healthcare provider for that matter) practices and makes decisions about testing and treatment is backed up by good quality data showing that that course of action is effective. In the remainder of the academic portion of most programs, classes about the details of audiological testing methods (diagnostics) and rehabilitation (treatment) are taught. There are both technical courses about hearing aids and cochlear implants, and professional development courses, such as counseling that are there to make the student become not only competent but compassionate as well. The Au.D. degree is a “clinical doctorate,” which means that throughout the training there are hundreds and hundreds of hours in which student clinicians spend time in the clinic, under supervision, receiving guidance and gaining experience with all aspects of audiological care, from testing to treatment options. Often, a student’s will have 2-4 different placements where they can get a sense of the variety of settings in which audiologists work. Lastly, after completing three years of coursework, and student placements, the fourth and final year is a residency. During the residency year (12 months), the student audiologist works a full-time schedule seeing patients alongside their supervisors and earning crucial experience before being fully licensed to work independently, on their own. After completing my undergraduate degree (B.A.) at The Macaulay Honors College at Brooklyn College in New York, I attended the CUNY Graduate Center to earn my doctorate in audiology (Au.D.) degree. My first placement was at a Veterans Administration (VA) Hospital. There I gained a lot of experience working with the adult and geriatric population who served in the military. 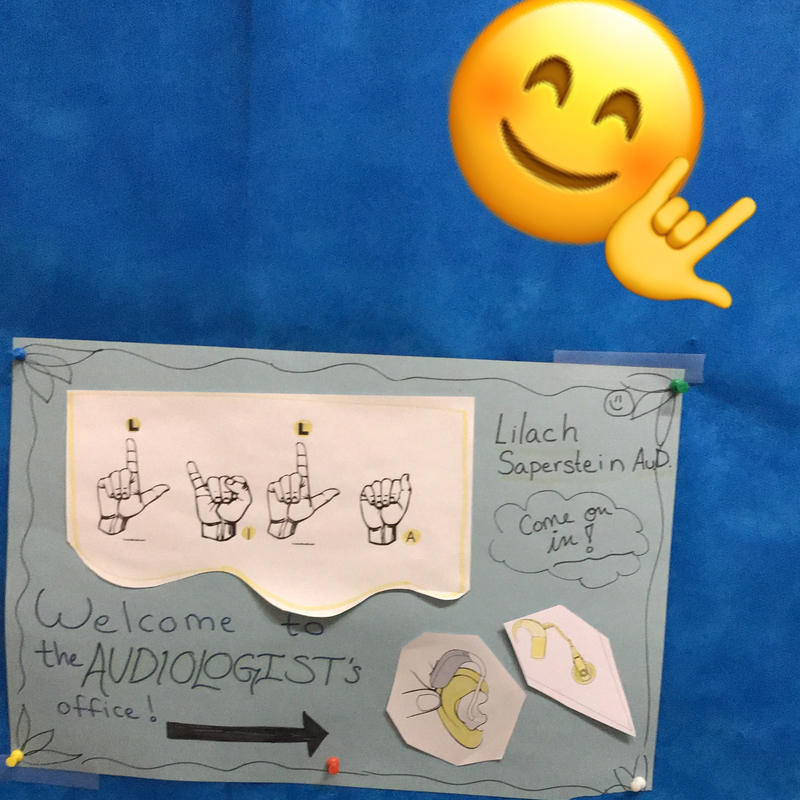 I performed many hearing tests and all the various stages of fitting patients with hearing aids (HA evaluation, programming, dispensing and orientation, troubleshooting, remote assistant pairing etc.). I also learned a lot about patients’ unique experiences with auditory symptoms other than hearing loss including ringing in the ears, a common condition secondary to noise exposure throughout military service. A tinnitus therapy program at the hospital was well attended and I participated in leading the weekly support and educational group, co-lead by a psychologist. Cerumen management, or wax removal, was an interesting skill I gained there as well. unable to respond due to developmental or cognitive delays. This site had a large volume of pediatric patients with many parents concerned that their child was not developing speech at the expected rate, or with a history of middle ear issues. An important skill that I gained there was being creative with testing children via play-based testing methods (BOA, VRA, and CPA). One important lesson I learned then was that chronological age is NOT developmental age; each child is a world of their own. I also learned to conduct an evaluation with basic gestures and a working vocabulary in Spanish, Yiddish and Russian. Many children can read your intention via body language and gestures and are receptive to modeling rather than verbal instruction. Audiologists work in many different settings and so it can be a suitable career path for various types of people and temperaments. I most appreciate the fact that as an audiologist I interact with many different people throughout the day. I have a chance to impart the knowledge I have gained in order to ease others’ concerns regarding their hearing, their child’s hearing, the ringing in their ears, their broken device, their questions or their curiosity. Feel free to send me any questions you have about becoming an audiologist or my experiences.